Local Control Funding Formula & Local Control Accountability Plan Stakeholders Meeting March 26, 2014. 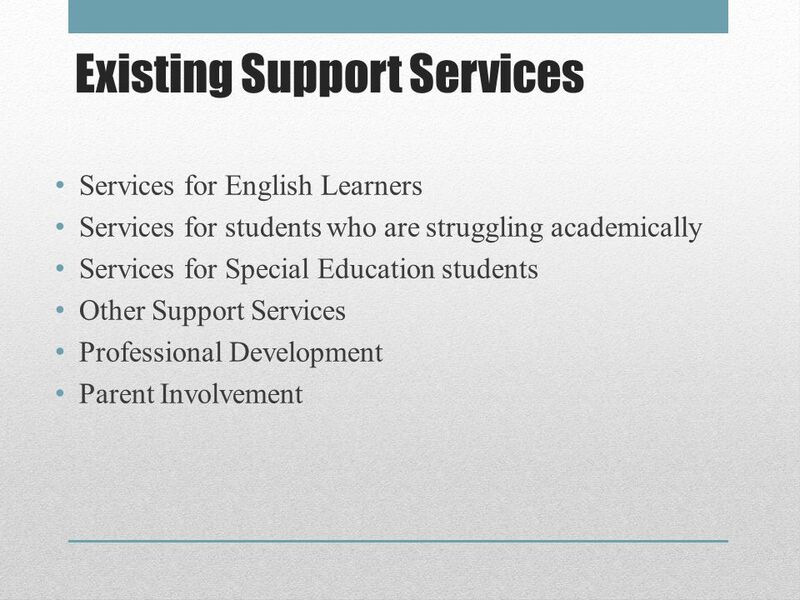 5 Existing Support Services So, under the new Local Control Funding Formula, will we quit providing the support services for at-risk and special population students that we have in place in order to implement the new ideas? And will we discontinue implementing other district and school site plans? Of course not… So, what kinds of things will our schools continue to offer? 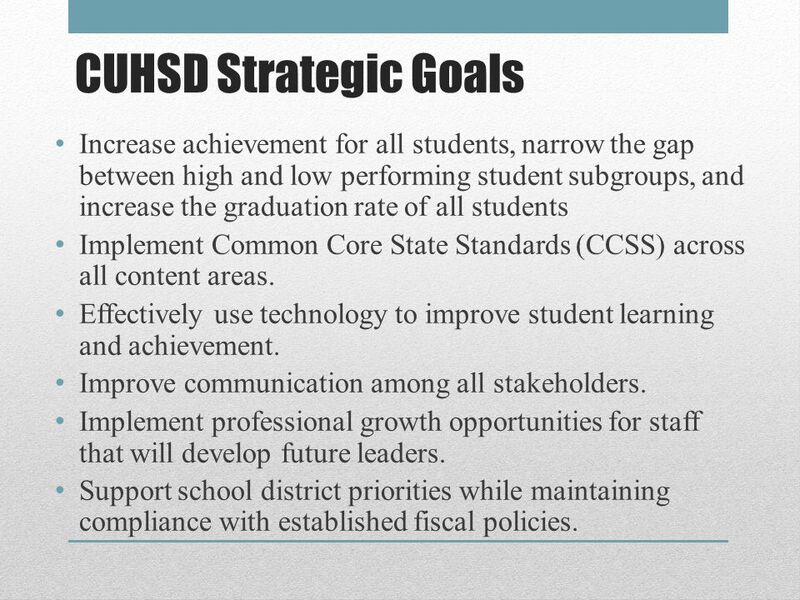 8 CUHSD Strategic Goals Increase achievement for all students, narrow the gap between high and low performing student subgroups, and increase the graduation rate of all students Implement Common Core State Standards (CCSS) across all content areas. 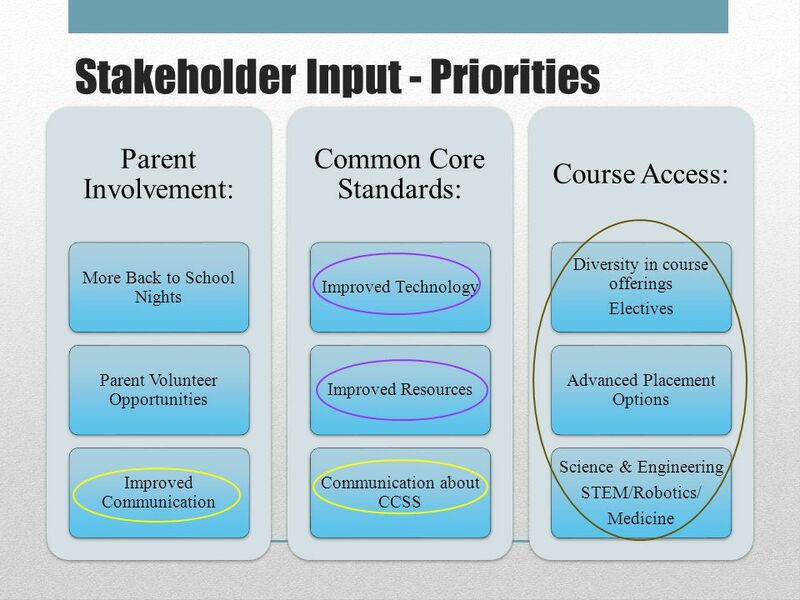 Effectively use technology to improve student learning and achievement. Improve communication among all stakeholders. Implement professional growth opportunities for staff that will develop future leaders. 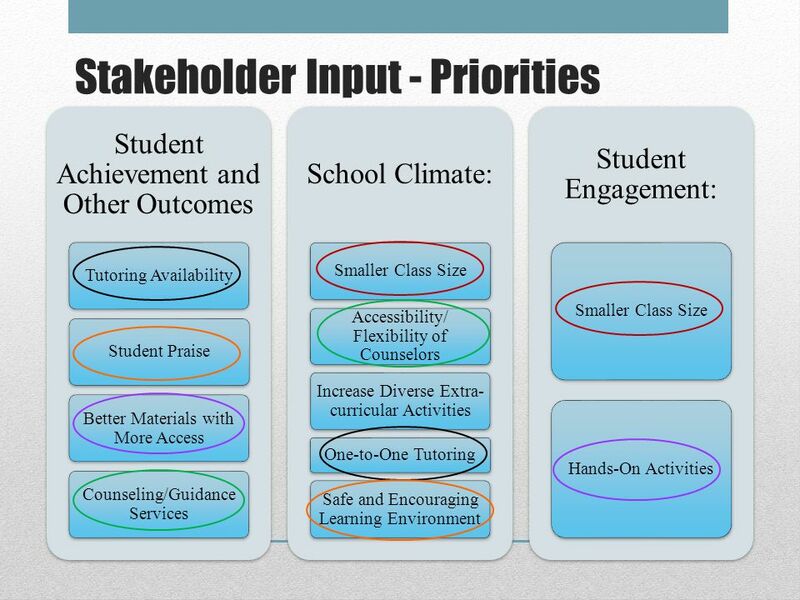 Support school district priorities while maintaining compliance with established fiscal policies. 13 Next … So, now you will be moving to your smaller group. 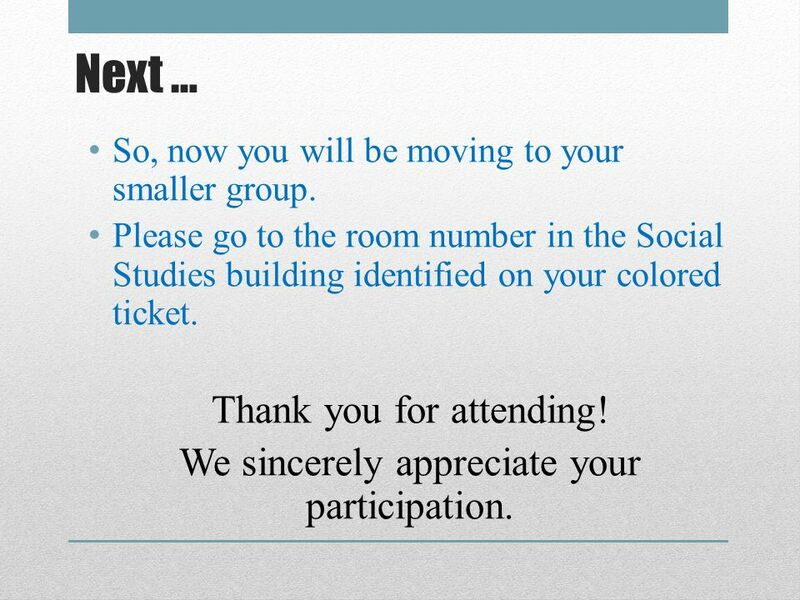 Please go to the room number in the Social Studies building identified on your colored ticket. Thank you for attending! We sincerely appreciate your participation. 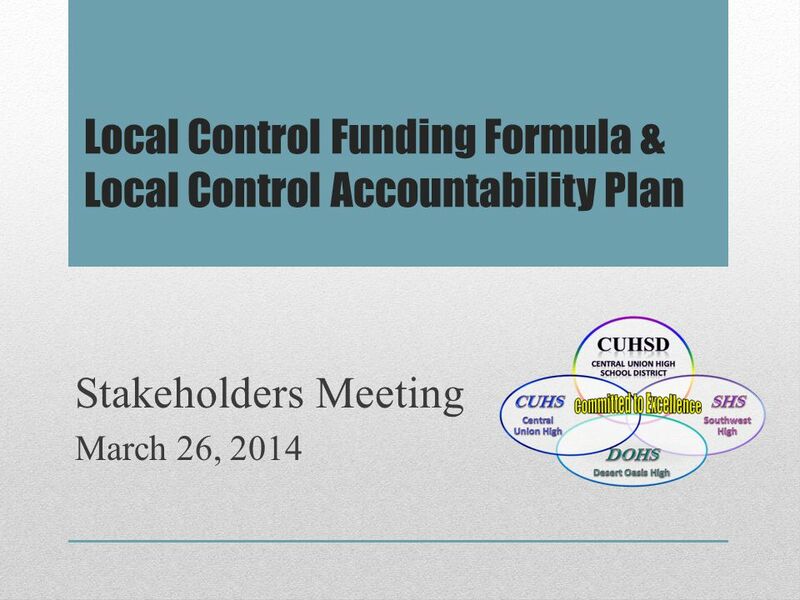 Download ppt "Local Control Funding Formula & Local Control Accountability Plan Stakeholders Meeting March 26, 2014." Local Control Funding Formula & Local Control Accountability Plan Stakeholders Meeting February 26, 2014. Community Information Session Lake County Office of Education March 11 and 13. 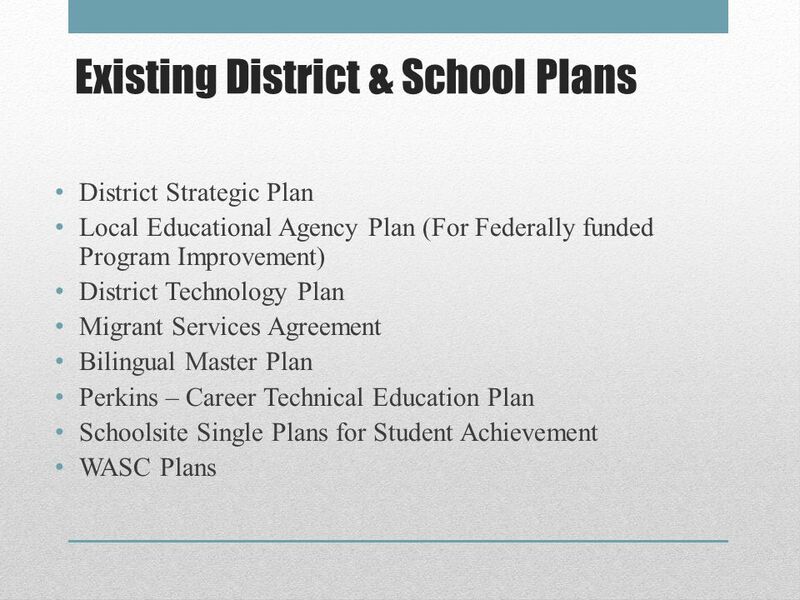 Long Beach Unified School District Local Control Funding Formula August 28, 2013. LCFF Funding and LCAP Shift Overview District Advisory Committee (DAC) Meeting February 27, 2014. NOTE: To change the image on this slide, select the picture and delete it. Then click the Pictures icon in the placeholder to insert your own image. LOCAL. Local Control Funding Formula & Local Control Accountability Plan Stakeholders Meeting March 12, 2014. LCFF & LCAP. 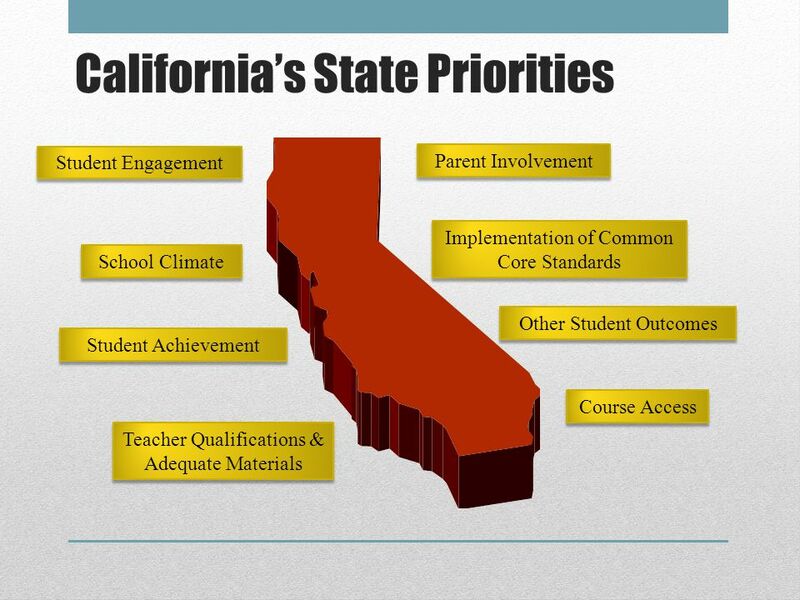 Key Precepts of LCFF Based on specific considerations: Equity, additional resources for students with greater needs Low-income students English. A Presentation For Mojave Unified School District. Derk Garcia, Interim Chief Academic Officer. LCFF and LCAP Through the Local Control Funding Formula (LCFF) flexibility and Local Control Accountability. 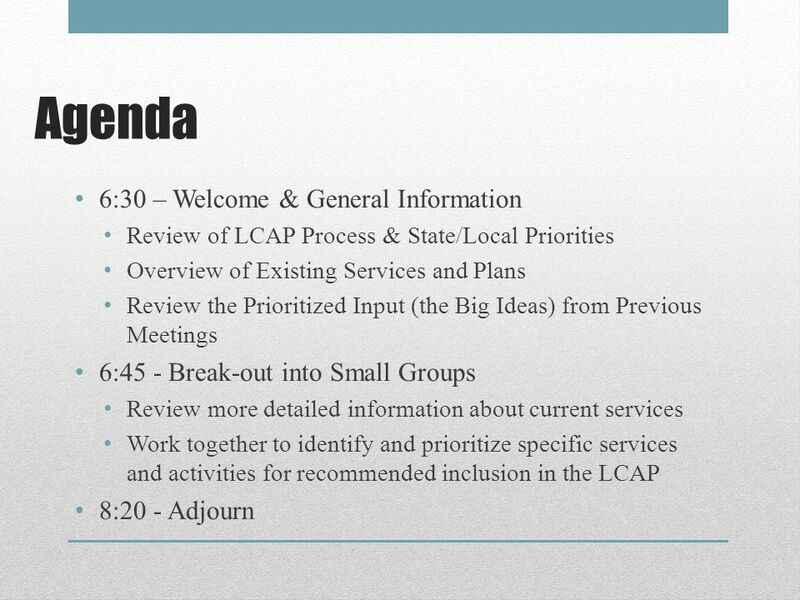 Contra Costa County LCAP Collaborative Planning Development & Technical Assistance Workshop Series January 21, 2014. 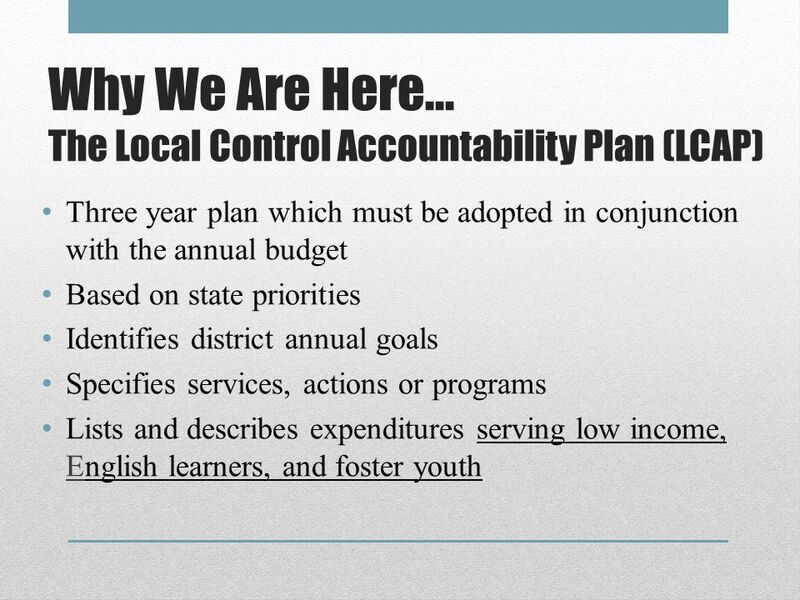 Local Control Funding Formula (LCFF) Implications for Accountability Planning Stanislaus County Office of Education 9/30/2013. The Local Control Funding Formula and the Local Control Accountability Plan Irma Villanueva Sr. Director of Educational Projects Hueneme Elementary School. 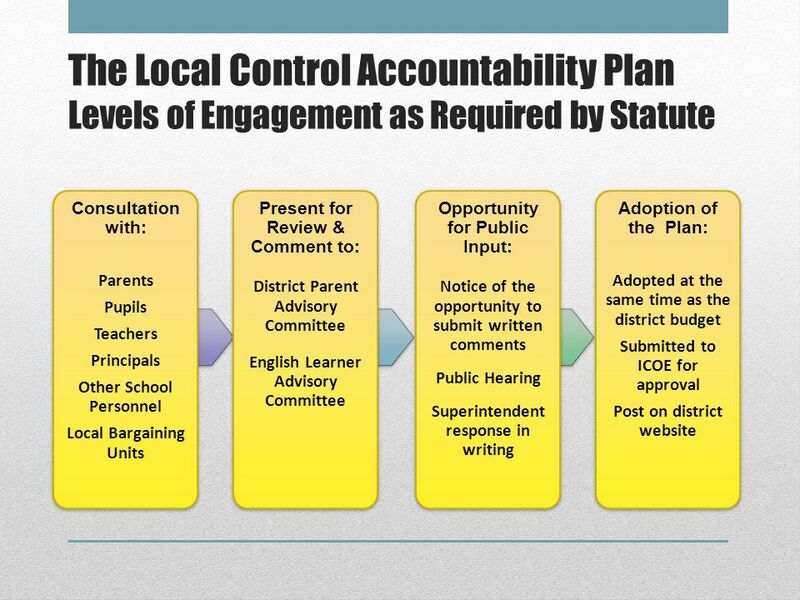 An Overview of the Local Control and Accountability Plan (LCAP) January 25, 2014 FREMONT UNIFIED SCHOOL DISTRICT Educate Challenge Inspire.